More dedicated to scientific research and much more “colourful” than the World Health Summit were descriptions for the 14th Global Grand Challenges Meeting 2018 that ended last night in Berlin and brought together some top researchers, policymakers and civil society. Like the WHS, the Grand Challenges Meeting focused on antimicrobial resistances and pandemic pathogens. But it also talked a little more on the issue of how better to incentivize R&D to fulfil SDG3, the UN Sustainable Development Goal on health, according to participants. Germany has stepped up its commitments with regard to global health policies. Besides initiating a global hub for antimicrobial (AMR) research (together with the Gates Foundation/Welcome Trust and other G20 partner states), members of the German government also announced a new joint initiative with the Bill & Melinda Gates Foundation and the African Academy of Sciences for the “Grand Challenges Africa” initiative. Glimpses of research presented during the conference ranged from ongoing Grand Challenges-funded research on beneficial effects of the old and patent-free drug azithromycin against child deaths to genetic re-engineering of malaria or dengue fever-spreading mosquitoes. Germany-based medical researcher Ugur Sahin in a keynote spoke on new ways to create and mass-produce personalized vaccines against cancer underlined the beneficial effects of this technology for poverty related diseases as well. Machine-learning could be used for the selection of the mutations that have to be attacked. Cloud support could ease access remotely to patients data and needs. Industry 4.0 effects finally could help to reduce production cost could, Sahin said, and allow personalised vaccines to be made cheaper and thereby more accessible everywhere. Civil society also commented favourably on the Grand Challenges meeting. Not only was the meeting more balanced in terms of participation, Health Policy Watch was told by participants. Patient help organisations like Medicins Sans Frontieries (MSF, Doctors without Borders) also acknowledged that the issue of how to incentivize innovation in health was on the agenda. “It was well perceived that the industry’s business model is not delivering for non-profitable health needs,” Marco Alves from MSF wrote in a short comment after the end of the meeting. Different interpretations on what exactly needs to be done remain, he added. From the point of view of his organisation, “we need an R&D ecosystem that is built on collaboration, data and information sharing, open source innovation, and transparency,” he said. According to Alves, it is important that a growing number of publicly and philanthrophically funded R&D incentives make sure that R&D efforts adhere to the principles several UN declarations – the 2016 UN Declaration on AMR and 2018 UN Declaration on TB. 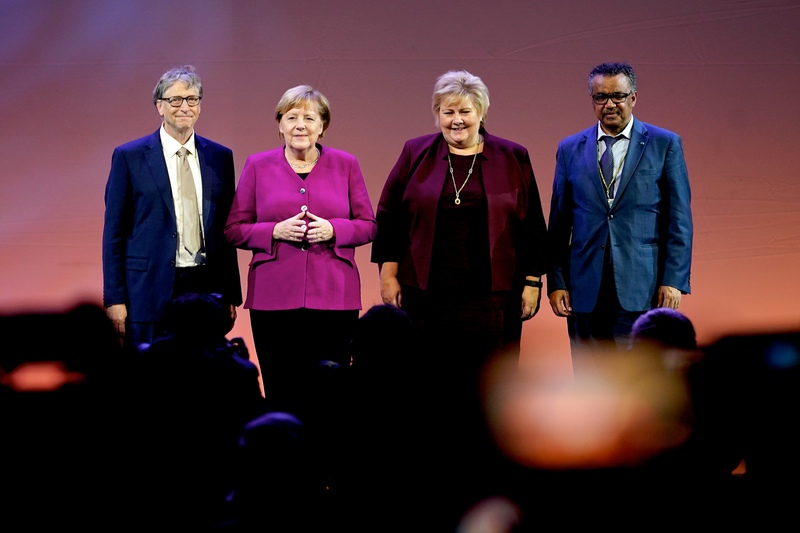 Civil society organisations also welcomed Merkel’s announcement that in order to speed up the realization of SDG3, coordinated by WHO SG Tedros Ghebreyesus, the Global Action Plan will include all stakeholders including civil society in finalising its draft plan over the coming year.